We are always interested in looking for professionals who are capable and motivated. MediMatch Dental Laboratory Ireland is a newly emerged, fast-growing business, with strong backing from the parent company. The laboratory is based in Dublin 11, Glasnevin and open 5 days a week from Monday to Friday. 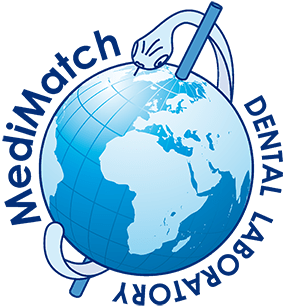 MediMatch Dental Laboratory is looking for an outstanding candidate to take up the position of Ceramic technician, who has technical knowledge in further section of the professional. The post holder will be expected to have capability building up ceramic crown and bridges, producing metal works and have a strong knowledge and understanding toward prosthetics works. • Be a good communicator. This is a very important part of the work, communicating effectively with the dentists. • Have excellent organisational and planning skills and the ability to manage a significant work load. • Have a can-do character or way of dealing with a problem, you are very positive about your ability to achieve success. • Have initiative, hands-on attitude and demonstrate team building. Hugo Van Loenen, Director, MediMatch Dental Laboratory Ltd.